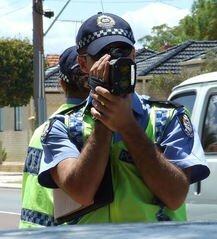 Most arrests for speeding are because of Aggravated, or Excessive Speeding. In the past several years, the Illinois Legislature has severely increased the penalties for drivers that are charged with driving too fast over the speed limit. The higher you are charged with driving over the speed limit, the more severe are the possible penalties that you could be facing. If you are charged with speeding 26 to 34 miles per hour over the speed limit, you will be facing a Class B Misdemeanor. A Class B Misdemeanor carries a maximum punishment of up to 180 days in the County Jail, and a maximum fine of $1,500. If you are charged with driving 35 miles per hour or more over the speed limit, you will be charged with a Class A Misdemeanor which carries a maximum punishment of up to 364 days in the County Jail, and a maximum fine of $2,500. Another potential consequence of being charged with Excessive Speeding is that a conviction will remain on your driving abstract for at least 7 years with the Illinois Secretary of State. Your driving abstract is your driving record. This could lead to increased insurance premiums and difficulty in obtaining Auto Insurance. This criminal conviction will issue appear on a background search. The good news is that as of January 1 2016, the law was changed to make a sentence of Court Supervision available to motorists who have not previously been charged with Aggravated Speeding. The availability of Court Supervision for people charged with Aggravated Speeding fixed a major problem with the Aggravated Speeding laws in Illinois. Before the law was changed to make Court Supervision an available sentence for first-time Aggravated Speeding offenders, if you were charged with Aggravated Speeding you could not receive Court Supervision. This meant that people charged with Aggravated Speeding could only be sentenced to something that resulted in a permanent criminal conviction. Yet, other people charged with much more serious criminal offenses, such as Reckless Driving, DUI, Retail Theft, and Battery, could receive Court Supervision and avoid having a conviction on their criminal record if they successfully completed their sentence. -1 to 20 mph over the speed limit – $120.00. -20 to 25 mph over the speed limit – $140.00. -26 to 34 mph over the speed limit – Up to $1,500.00 and up to 180 days in County Jail. -35 mph over the speed limit – Up to $2,500 and up to 364 days in County Jail. -1 to 10 mph over the speed limit – 5 points. -11 to 14 mph over the speed limit – 15 points. -15-25 mph over the speed limit – 20 points. -25 mph plus over the speed limit – 50 points. If you are over the age of 21, 3 convictions on your driving record in a 12 month period will result in an automatic suspension of your driver’s license. If you are under the age of 21, you will lose your license if you commit 2 or more traffic violations over a 24 month period. Once points are assigned to your driving record, there is no way to have those points removed. Since a traffic ticket can lead to serious consequences to your criminal record and driving record, you should always consult with a knowledgeable and experienced traffic ticket lawyer to protect yourself. An experienced traffic ticket lawyer will understand the consequences of a conviction and will understand what he needs to do to avoid the harsh consequences of a traffic ticket to you. Since points assigned to your driving record cannot be removed once they are assigned, you cannot afford to take chances with your driving privileges. You should consult with an experienced traffic lawyer before you go to court or just pay that fine to minimize the impact to your driving privileges. If you have a speeding ticket, or any other type of traffic ticket, you can contact James Dimeas anytime for a free and confidential consultation. You can always call James Dimeas at 847-807-7405 for a phone consultation. Illinois Excessive Speeding Statute, 625 ILCS 5/11-601.5. Joint Committee on Administrative Rules, Administrative Code. Illinois Speeding Tickets Can Lead to Jail Time, by James G. Dimeas, Chicago Criminal Lawyer Blog, November 26, 2017.